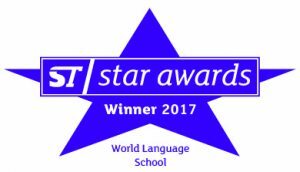 We are proud to announce that ISI Japanese Language School has been appointed as winner of the ST Star Awards 2017 in the World Language School category! We couldn’t have done it without all of your continuous support and guidance, and for that, we feel honoured. ST Star Awards honours top class performance at the study-travel industry by rewarding achievement and raising standards across the industry. The awards are conducted by StudyTravel Magazine, an international publication for the study abroad sector of the travel industry and with a strong influence especially in the European market. From now on we would like to keep on aiming to help people achieve their dreams and fostering a global society by creating an educational environment for the development of global human resources together with you. We would like to express our sincere appreciation for the support we have received from all of you.